Need an Eye Doctor in Pasadena, TX? Call TSO for an exam! At TSO our optometrist takes the time to explain the results of your eye exam, describe your options and listen to your eye care needs. Because maintaining good eye health is an ongoing partnership, we encourage you to ask questions and share your health information, which could be vital to monitoring, diagnosing and treating potential vision problems. 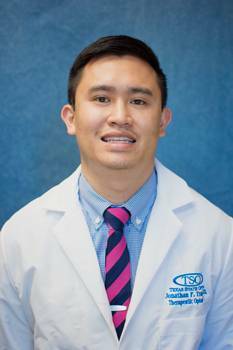 Dr. Jonathan Tran attended UT Austin and the University Of Houston where he earned his B.S. in Biology and Business Administration as well as his Doctor of Optometry Degree. 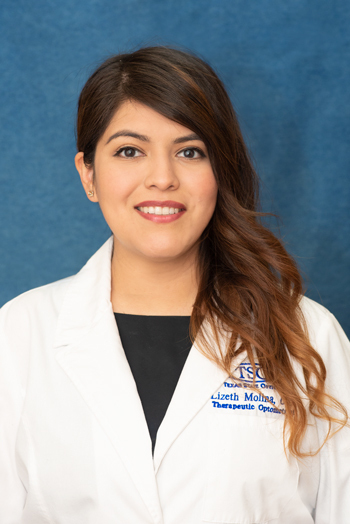 Board Certified in the Management and Treatment of various eye diseases such as Cataracts, Glaucoma, and Macular Degeneration, Dr. Tran gained valuable clinical experience while at Northeastern State University College of Optometry in Tahlequah, Oklahoma. 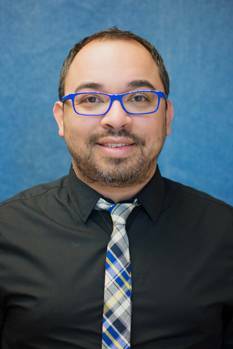 He began working for Texas State Optical, over 10 years ago as a Doctor’s Assistant and has been working as a Doctor with TSO over 3 years. While working as a Doctor’s Assistant he felt he had a real connection with the patients and their vision matters. “As a Doctor’s Assistant, I learned that my personality made assisting and educating patients an easy career choice. Listening to and understanding patients issues helps me assist and educate the patient. Personalized in-depth care is what I strive for.” Dr. Tran states. His professional interests include, advancing the profession of Optometry by maintaining up to date, continual education and learning the most advanced and successful standards of patient care. Giving back to the community is important to Dr. Tran. He trained with the Good Neighbor Clinic in Houston providing Comprehensive Eye Exams to all age groups and gave exams in Spanish. Dr. Tran also speaks English and Vietnamese fluently! Jonathan also worked with Prevent Blindness Texas to carry out vision screenings to the underprivileged. Aurora, Colorado is where Dr. Tran is originally from. His family as well as Dr. Tran were residing in Denver, Colorado when his father received a transfer order while working for the United Airlines, formerly known as Continental Airlines, bringing them to Houston, Texas. Dr. Tran enjoys watching sports and exercising in his free time. He is a die-hard sports fan for the Texans, Broncos, Rockets and Astros. Dr. Tran likes to keep up with news and events and has a daughter Sara who keeps him on his toes when he gets home. Dr. James L. Mikkelsen, O.D. 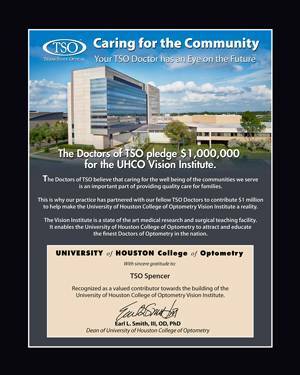 is a graduate of Texas Lutheran University as well as the University Of Houston College Of Optometry where he earned a Doctor of Optometry degree. He practices full-scope primary eye care including basic Eye Examinations, complex Contact Lens Fitting, Pediatric Vision Care, diagnosis and treatment of most medical eye problems, and Co-management of LASIK and Cataract Surgery. 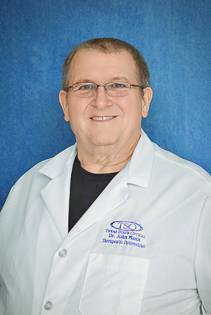 Dr. Mikkelsen is licensed as a Therapeutic Optometrist and has been affiliated with Texas State Optical since 1988. He has been in the Optometry Field for over 35 years. He enjoys seeing the whole family, from children to grandparents at their eye care appointments. He especially enjoys teaching patients about their eye conditions so they might better understand how their visual system works. He is a member of the Texas Optometric Association. 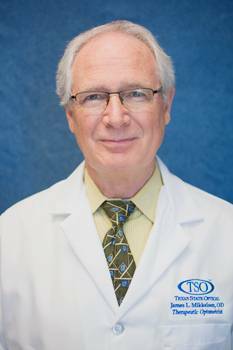 Dr. Mikkelsen’s interests were always in the fields of Science and Health, which made Optometry a perfect fit! His professional interests include Contact Lenses as well as binocular vision anomalies. Dr. Mikkelsen speaks English and Spanish freely. Dr. Mikkelsen was raised in Southern California and came to Texas as soon as he could. He came to Houston for graduate work in Microbiology/Virology at the University of Houston. Outside of work, Dr. Mikkelsen thoroughly enjoys traveling, visiting new sites around the country as well as overseas! Our exceptional, friendly TSO staff is our greatest asset. They are excited about what they do, and they care personally about getting the best results for our patients. Daniel is our General Manager for both of our Pasadena Locations. He started in Patient Services over 16 years ago and worked his way up to Management. He became ABO Certified in 2005 and is maintaining/continuing his educational requirements. 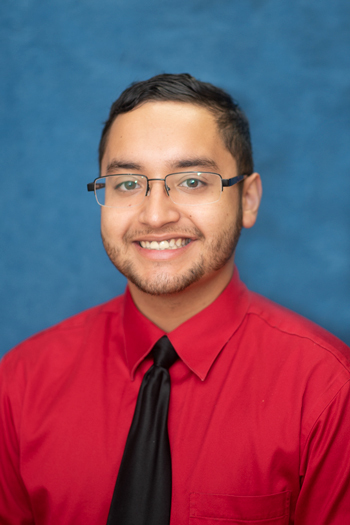 Daniel plans to become a Regional Manager with Texas State Optical one day! Continual growth in the Optometry Field and his co-workers make his job worth being a part of. “Our patients are happy and provided with the best care due to our advanced training and upmost service.” says Daniel. He creates leadership, team building and a fun atmosphere. Daniel speaks English and Spanish fluently. Outside of the office, his interests are music, art, fashion, live shows, going to the movies, DJing and reading fashion books! While his favorite past time of all is spending time with his friends and family. Daniel’s favorite quote is said by the one and only Andy Warhol. 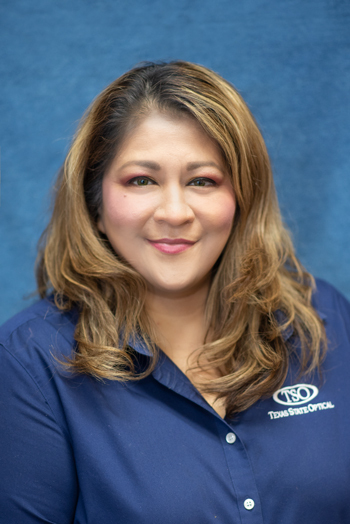 Cynthia has over 30 years Optical experience and has been a part of the TSO team for over 10 years. She is ready to assist you with any of your Optical needs. Cynthia plans to leave everyone with as much of her knowledge as possible. The challenge of making our patients look fabulous is something she very much enjoys! Cynthia brings knowledge, comradery and laughter to the team. Outside of work, she is an avid Tennis fan that loves to watch matches especially if they involve Serena Williams. She also enjoys football & basketball very much. Swimming at the park is something she would love to do on a daily basis. 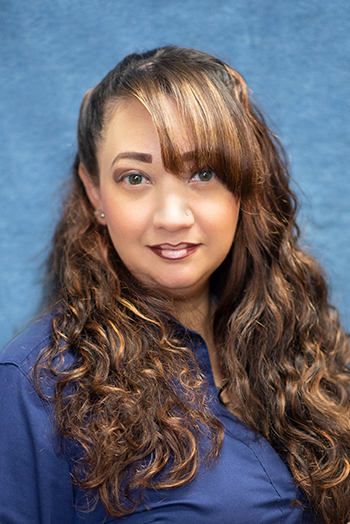 Cynthia’s proudest accomplishment is raising her two beautiful daughters as a single mother! Patty is our Optometric Assistant. Contributing great customer service, Patty has a very positive attitude and can speak Spanish and English adeptly. She has over 6 years of Ophthalmology Assistant experience and has been with our team for over 6 months now. 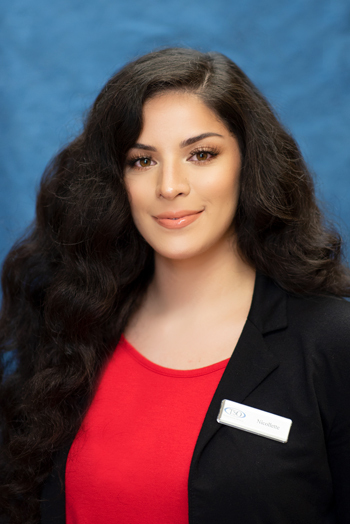 She went to school for a Medical Assistant and did her internship at Ophthalmic Consultants of Texas where she was offered a job and stayed with that company for 6 1/2 years. While working at that office, she worked alongside the O.D. and Retina Specialist. She hopes one day to get her Certification for C.O.A and return back to Ophthalmology. What Patty enjoys most about her job is knowing that her previous and present work skills can help improve the vision of their patients today. Patty and her co-workers provide awesome team work! She is able to give more detailed exams; Medical, routine, Cataract post-op, etc. 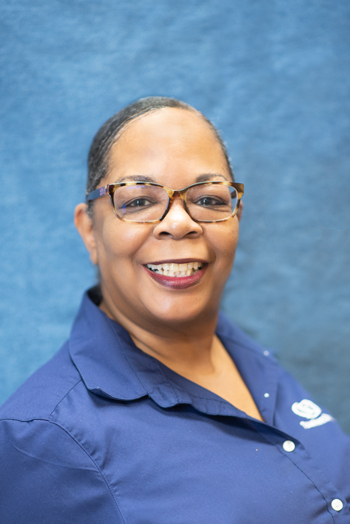 One of Patty’s proudest accomplishments is when the Doctor as well as she were treating a patient with a retinal detachment, glaucoma, who only could see hand motion and only knew her voice. She won’t forget the day this patient had surgery, removing the bandages from her eyes and the patient crying because she was able to see Patty’s face. This was a day to remember and a day to never forget. In her spare time, Patty loves to spend time with her family and her grandson Grayson. She absolutely enjoys Church on Sunday’s. 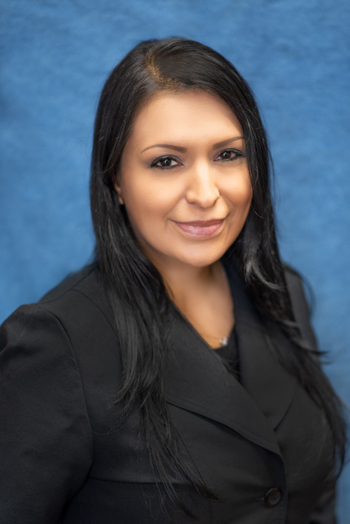 Some of her other interests and hobbies outside of the office include going shopping, listening to music and going to the movies with her family. One of her favorite childhood memories is when Saturday’s would roll around; she spent those days at her grandmothers. “You’re either going to sink or swim.” would have to be her all-time favorite quote. 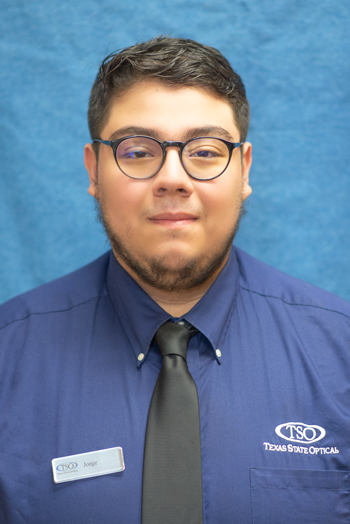 Bobby is currently attending San Jac Community College. His goal is to work in a field he is comfortable with, such as Ophthalmology. “I love the experiences I gain and what I learn coming into TSO every day.” says Bobby. Bobby is a hard worker with a positive attitude. He is a quick learner and will do anything to better Texas State Optical and the patients. Bobby’s proudest accomplishment is joining a Pharmacy Tech Program in High School that furthered his knowledge in the medical field. When Bobby is not at work, he enjoys spending his time outdoors, primarily hunting or camping. Listening to music is another one of Bobby’s favored hobbies, “it’s very relaxing” he says. Disney employee for the Epcot ride Horizons in the 1980s once said, “If you can dream it, you can do it.” It’s a quote Bobby relates to greatly.